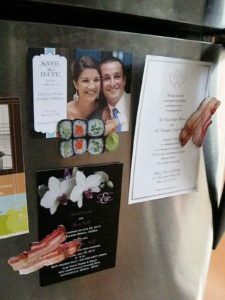 It’s time to select another 6 winners for my bacon and sushi magnet giveaway!! An online paper supply company, Paperhouse Productions, has generously sent me a giant box full of goodies to share with my readers, and for the rest of the summer I will be selecting multiple winners every time! Paperhouse Productions is exactly what it sounds like, a paper supply company who offers a range of paper products, from themed stationery to scrapbook paper to stickers. In addition to their range of paper products they also offer an interesting collection of magnets. 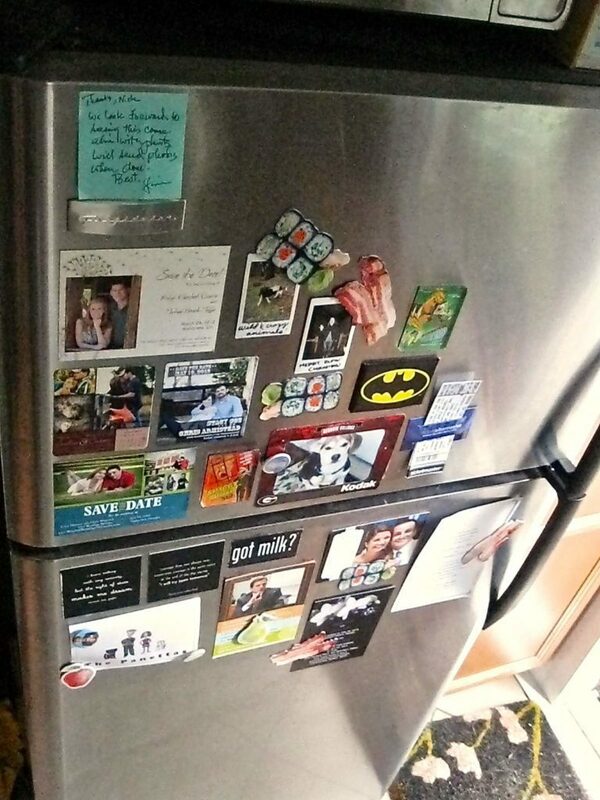 You can browse their magnets by “type”, such as 3D, car magnets, or sets, or you can browse by “theme”, such as Elvis, animals, or food and drink. As a food enthusiast I immediately went for the food section and began browsing their selection. As soon as my eyes fell upon the bacon magnet I knew this was it. Everyone knows bacon is one of the greatest foods in life and what better way to express my love for it than by proudly displaying it on my refrigerator? 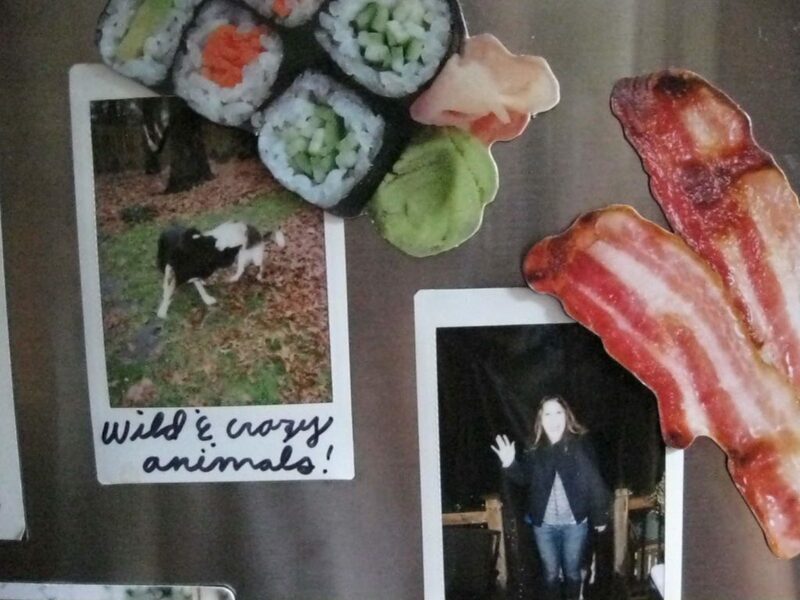 The sushi magnet came to my attention shortly after I drooled over the bacon magnet, and I decided they would be nice compliments on my fridge. Nothing would look better than two greasy strips of bacon next to a nice clean, fresh looking sushi roll. I let Paperhouse Productions know which magnets I wanted, and eagerly awaited the shipment. When it finally came I was surprised by the size of the box. I assumed when I put in my sample requests that I would get a few stickers, magnets, and packs of paper. What I actually got was very large quantities of them all! I am so excited for the opportunity to offer multiple prizes to multiple winners. In fact, they sent me so many magnets that I will be doing a second 7 winners 2 prize giveaway next month! As soon as the box was opened I immediately went on the hunt for the magnets. As soon as I found them they were placed among our many save-the-date, batman, and 90’s cartoon magnets. I stepped back to admire our new additions, and was impressed to see they were a good size, fairly strong, and just as vivid and realistic as they looked online. I loved the cut out style the magnets had, which gave them a more realistic quality. I was half expecting to get a rectangular magnet, with the picture printed on the center, but was pleasantly surprised when they came out looking exactly as they were advertised. Paperhouse Productions is a very clean, easy to navigate online shop that I would definitely use again. I love the variety of ways you can shop their store, and the variety of products they offer. You can find more traditional themed items or something more eccentric, for those Elvis loving friends and family. Check out more magnets, stickers, journals, and other products from Paperhouse Productions here. If you would love a sushi and bacon magnet for yourself all you have to do is tweet about the giveaway or like Paperhouse Production’s facebook page. Comment below and include your tweet link or the name you liked their facebook page with. I will randomly select 7 winners to receive one bacon and one sushi magnet next Monday (8/26) using the plugin And the Winner Is…. Good luck! Thanks for visiting my blog and participating in my giveaway! Help me spread the word about my blog by tweeting, liking, subscribing, and sharing with others I couldn’t do it without you! Thanks for stopping by. I am very excited about my next summer giveaway because I get to pick 7 winners to win 2 prizes!! An online paper supply company, Paperhouse Productions, has generously sent me a giant box full of goodies to share with my readers, and for the rest of the summer I will be selecting multiple winners every time! Check out more magnets, stickers, journals, and other products from Paperhouse Productions here. If you would love a sushi and bacon magnet for yourself all you have to do is tweet about the giveaway or like Paperhouse Production’s facebook page. Comment below and include your tweet link or the name you liked their facebook page with. 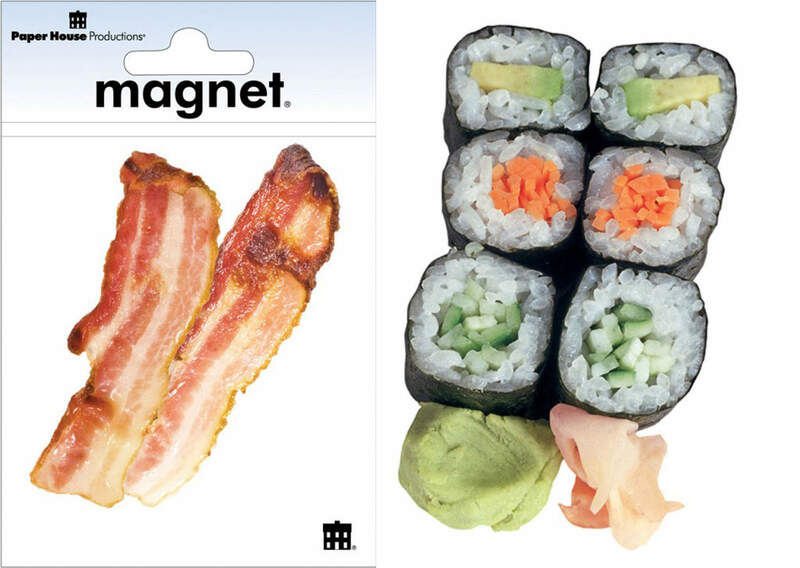 I will randomly select 7 winners to receive one bacon and one sushi magnet next Thursday (7/18) using the plugin And the Winner Is…. Good luck! Remember if you don’t win a magnet set this month keep a look out for my next 7 winner 2 magnet giveaway next month! Don’t forget to enter my ebook giveaway here, ending on Thursday (7/11)! Thanks for entering this giveaway! 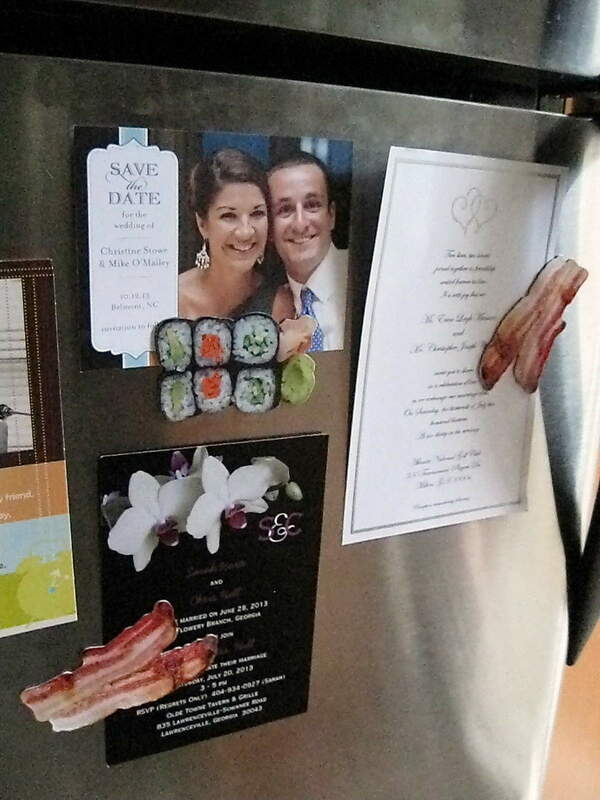 If you didn’t win this round check beck for my second 7-winner-bacon-sushi-magnet-giveaway in a couple of weeks!